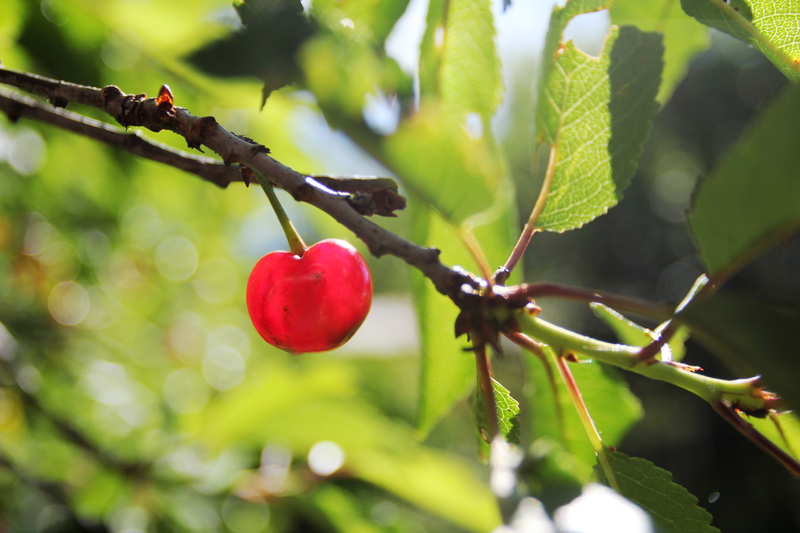 I recently wrote a blog post for Cherry Republic, creators of all things cherry, located in the Leelanau Peninsula of Northern Michigan (a.k.a. God’s Country). What you see below is my version (with slight alterations). You can view the original on Cherry Republic’s blog. 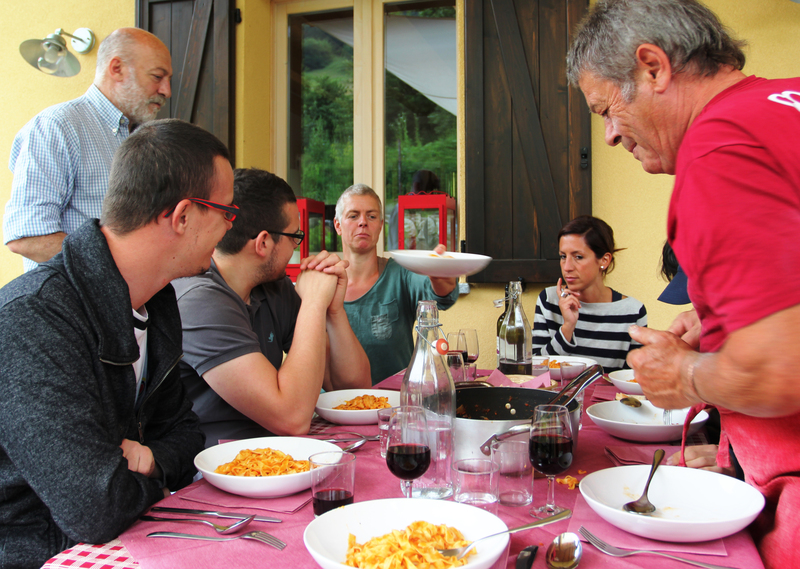 Writing this really made me miss my time in Italy! 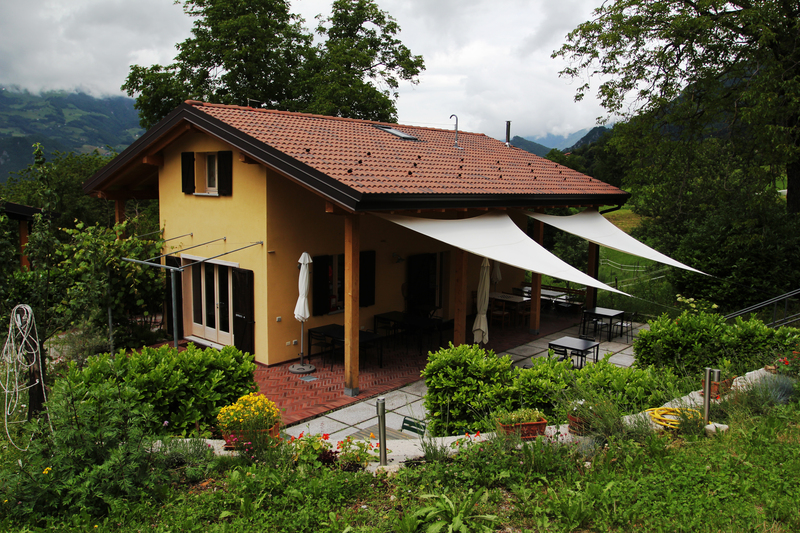 Agriturismo Signur, in Northern Italy. 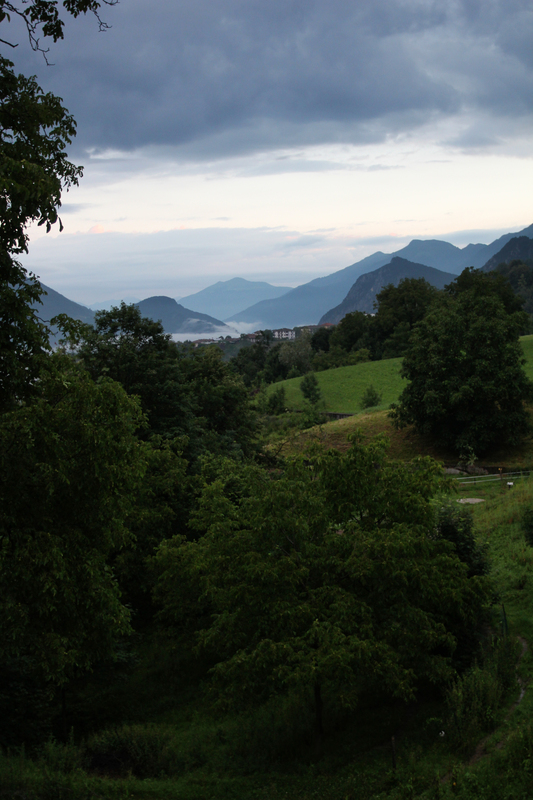 Set in a mountainous northern Italian village, only 30 minutes from Lake Como, Agriturismo Signur is a picturesque contradiction of old world Italian farmstead-charm and modern Ikea esthetic. The property is host to a bed and breakfast, farm to table restaurant, u-pick berry farm, and a handful of donkeys, chickens, ducks, and guinea fowl. I arrived there in late July to work as a farm hand and fill-in cook after four long months of traveling through Europe with only my backpack and camera as my constant companions. Summer was thoroughly underway and I was homesick for Michigan. My hankering for the Great Lakes State began to subside when I spotted the cherry tree: a 25 foot tall giant who’s branches slumped under the weight of a thousand plump red orbs. My mind thought of only one thing. Pie: juicy, Michigan style, cherry pie. The taste of home I had been pining for. My hosts, Etien and Gigi had never heard of cherry pie. I was astonished. 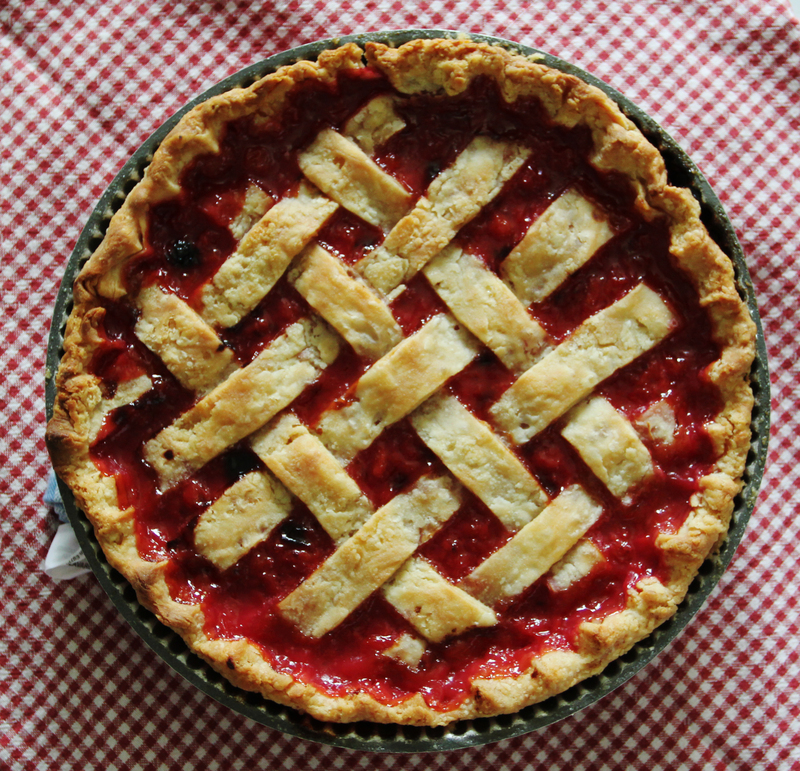 In Northern Michigan cherry pie is as ubiquitous as, well, cherry pie. But there I was, standing in front of a cherry tree the size of the Sleeping Bear Dunes dune climb with a couple to whom the combined words “cherry” and “pie” had almost no meaning. Thus a mission was born: bring cherry pie to the small northern Italian village of Mezzacca, and teach Italians the joy of feasting on this tart, flaky confection. We set to work. 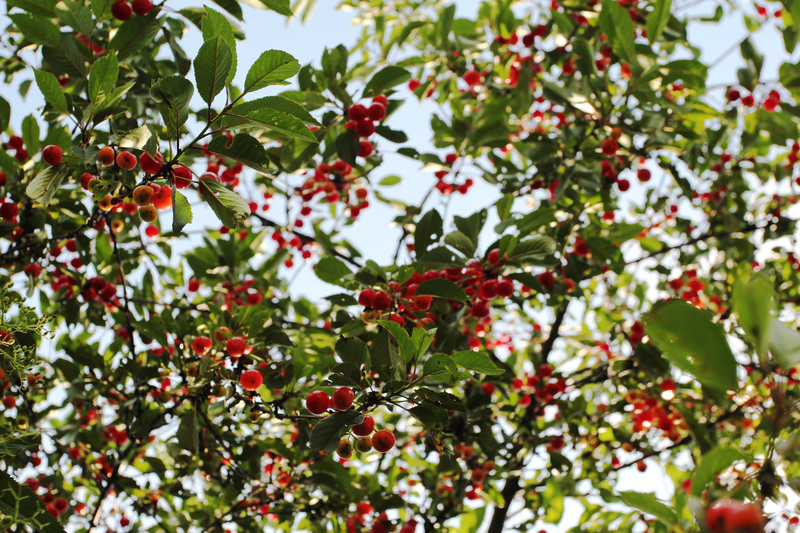 A jumble of ladders and pails stuck up through the branches as we plucked cherry after cherry from amongst bright green leaves. The buckets were soon brimming. Cherry juice dripped down our fingers and coated our hands. We were sticky, happy, and snaking on cherries by the handful. 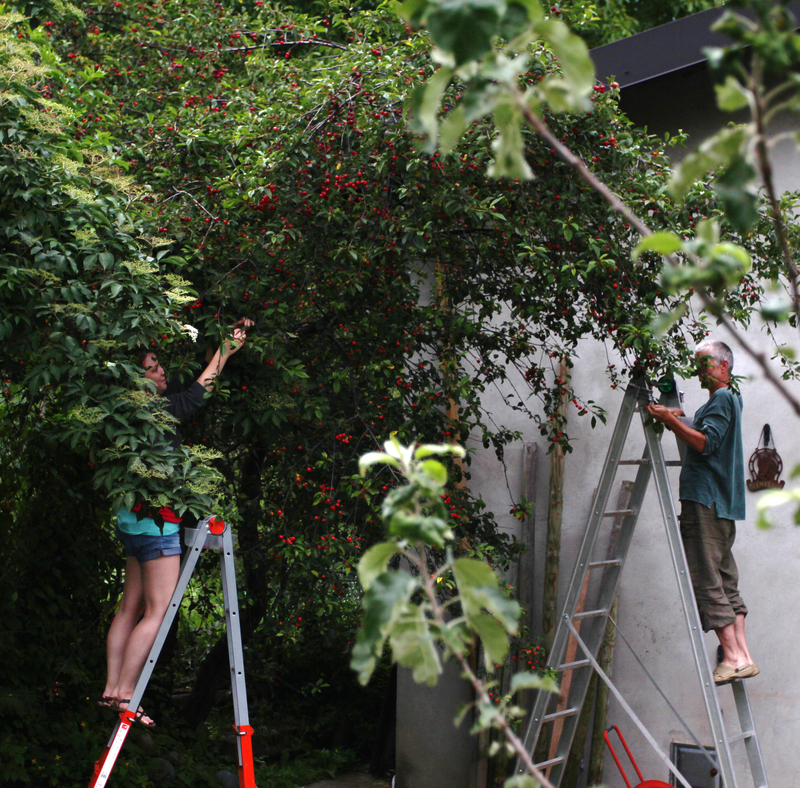 Etine and I picking cherries by hand. Cats batted the fallen spheres along the ground as we embarked upon the tedious task of hand pitting every fruit. Glasses of homemade cherry Italian soda helped to pass the time. The sun glinted off the surrounding fields, cow-bells rattling in the distance. I enthralled them with stories of Leelanau summers and back-country skiing. I shared the importance of the simple little cherry to Michigan’s identity, how we have a whole festival dedicated to the fruit we held in our hands. 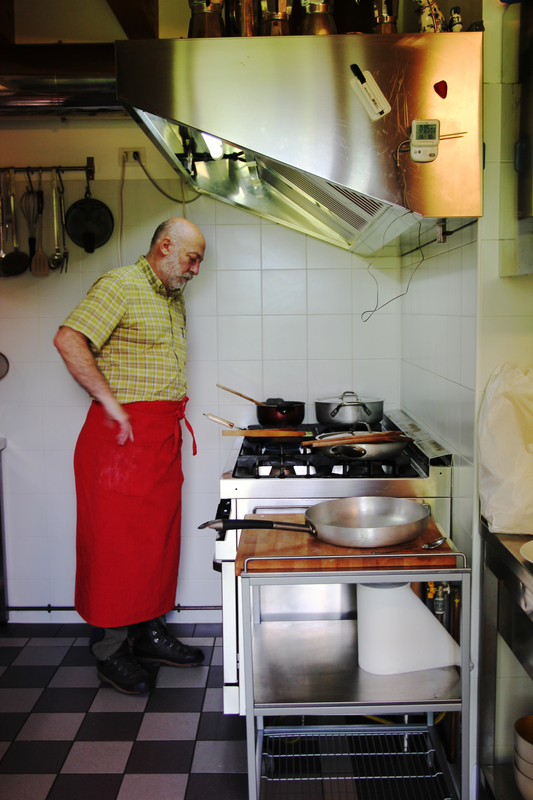 Gigi, the restaurant half of Agriturismo Signur, told me in his very limited English, “I open restaurant in Michigan.” I could picture him strolling into the dining room of this newly planned venture, serving northern Italian dishes to Michiganders. “Molto bene” streaming from his mouth each time he sat a dish at a table. I had sold them on Michigan, now I needed to sell them on the pie. 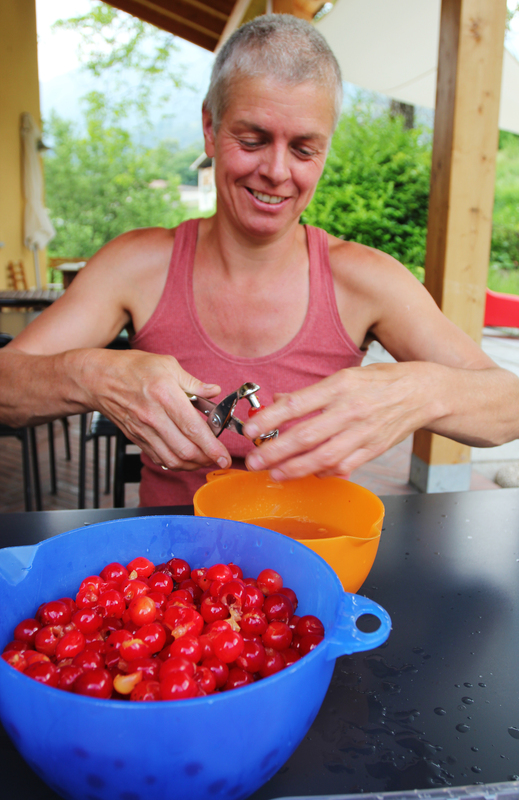 Once pitted, the cherries filled bowls all over the restaurant kitchen. I showed them how to make piecrust from scratch using butter from a nearby farm. We rolled it out into tart tins, as pie plates were conspicuously absent from the pantry shelves. In went the cherries, tossed together with sugar and flour and the slightest pinch of cinnamon. We used a pasta cutter to cut strips for a lattice top. 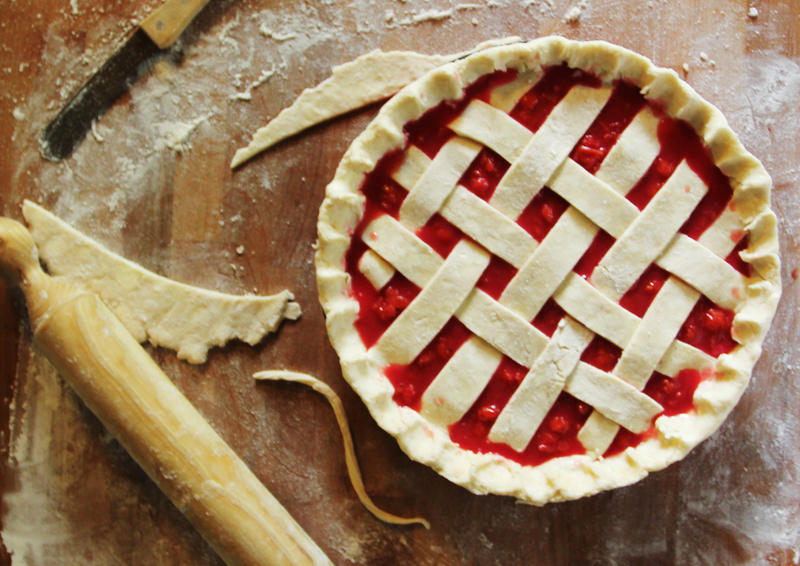 The tools may have been different, but the pie was the same. What we made went into the freezer for future meals, aside from one pie, which Gigi put on the menu for the restaurant that night. “An American Dessert,” it was described as. A group of tourist up from Milan for the weekend ordered it at end of their meal. Gigi pulled me out of the kitchen so they could thank me for sharing a little bit of America with them. “A little bit of Michigan,” I told them. Mission accomplished, I watched Gigi and Etien devour their first slice of cherry pie with smiles on their faces and a cup of Italian espresso in hand. Mine tasted of nostalgia and summer, transporting me home with every bite. There is nothing better in this world to cure a homesick heart than a big slice of fresh baked cherry pie. Ann, when I come to Australia I will be sure to bring some cherries with me from Michigan and we can make a pie together! I love this, such a good story! I’m almost embarressed to admit that I’ve never had cherry pie either. It’s not at all common in New Zealand, where I grew up, or Australia, where I live now. There isn’t much of a fruit pie tradition really (maybe apple, but it would usually be shortcrust rather than flakey pastry), although meat pies are as common as (well) meat pies. 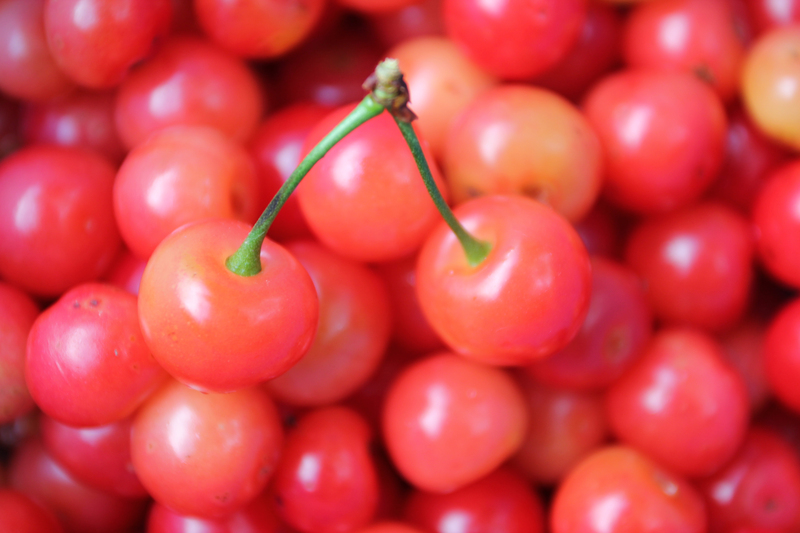 I’ve eaten cherries fresh by the bowlful for years…and that’s about it. Could you point me in the direction of a good cherry pie recipe? I hope that helps! Let me know how it turns out. It really is such a great treat. I can’t wait to try all the meat pies when I get to Australia!